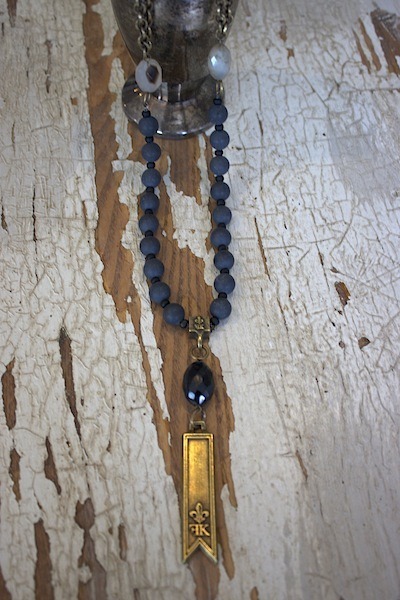 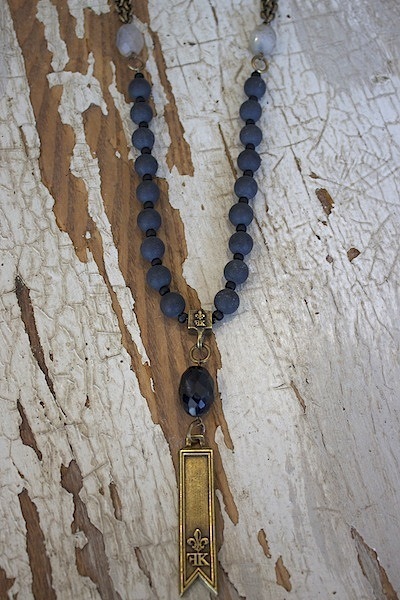 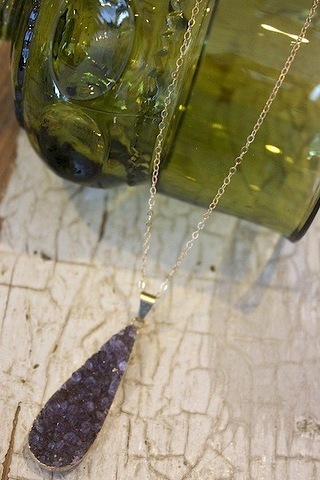 The Black Jasper Teardrop necklace by French Kane has black jasper beads that are strung along an antiqued brass-clad chain. 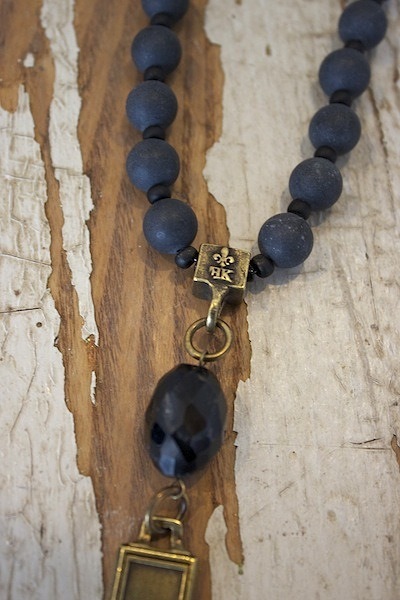 An onyx teardrop is featured as a part of the charm, along with the signature Fleur de lis symbol on a piece of antiqued brass. 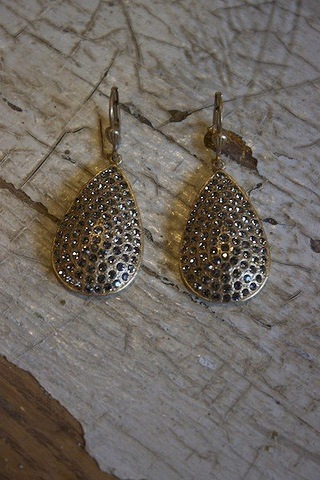 Complete with a toggle closure.